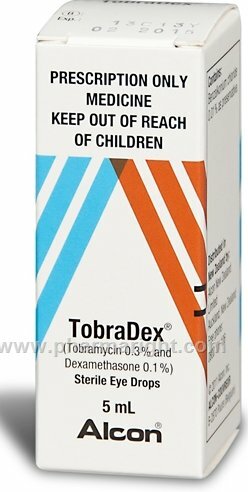 Tobradex is the brand name for a combination of the antibiotic tobramyacin and the gluticosteroid dexamethasone. Tobradex is made by Alcon Labs. However,Tobradex is a medication made for treating human eye infections. It is not specifically made for dogs, but many vets turn to it to treat eye infections in dogs.